Parks and Wildlife officials are putting a warning out there about a rise of dangerous interactions between moose and humans. A new video educates the public how to avoid interactions with moose. The new video released by the Colorado Parks and Wildlife Department begins with phone video of a moose attacking. Mike Porras, the northwestern spokesperson for the department, said the population of moose is increasing and expanding in Colorado. "They're moving into areas including populated areas, cities and towns, where only a few years ago it would've been unbelievable," said Porras. The best advice: keep your distance. Porras said people need to be especially careful with dogs. "That moose is going to respond to that dog as if it is a wolf, one of its primary predators," he said. Colorado's moose population is increasing while in other regions of the Mountain West the moose population has remained about the same but Aly Courtemanch, a wildlife management coordinator for Wyoming Game and Fish said moose still roam populated areas. "They get tangled and trapped in a lot of different things people have in their yards." 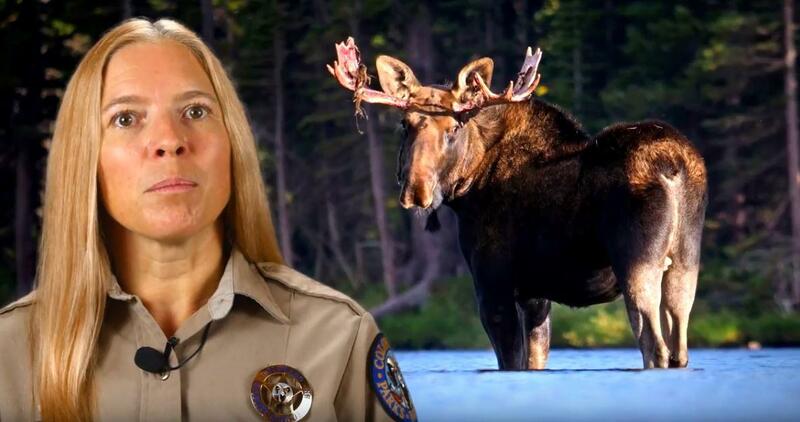 Officials caution to keep your distance when encountering moose as they have bad hearing and are often surprised by people. Copyright 2018 Wyoming Public Radio. To see more, visit Wyoming Public Radio. The city of Colorado Springs is trying to figure out how to manage the large number of deer living within city limits. Frank McGee is the area wildlife manager for Colorado Parks and Wildlife. He is also a member of the city’s Urban Deer Task Force. He says several ideas are on the table, although, residents are divided about one proven method of reducing the population -- culling. Colorado Parks and Wildlife just announced they’ve discovered a species of cutthroat trout previously thought to be extinct. They also said the species was threatened again this summer.